This is one recipe that I tried from pinterest that I will definitely be making again! Not only are they healthy but they are addicting. 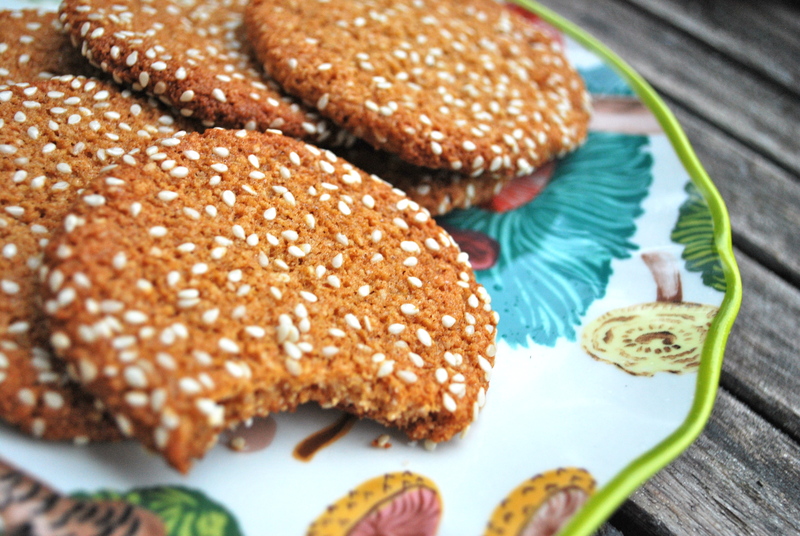 These cookies are packed with nutrition and naturally sweetened with honey. I also added a little agave nectar to mine for a little extra sweetness. Combine the almond meal, baking soda, and salt in a bowl and set aside. 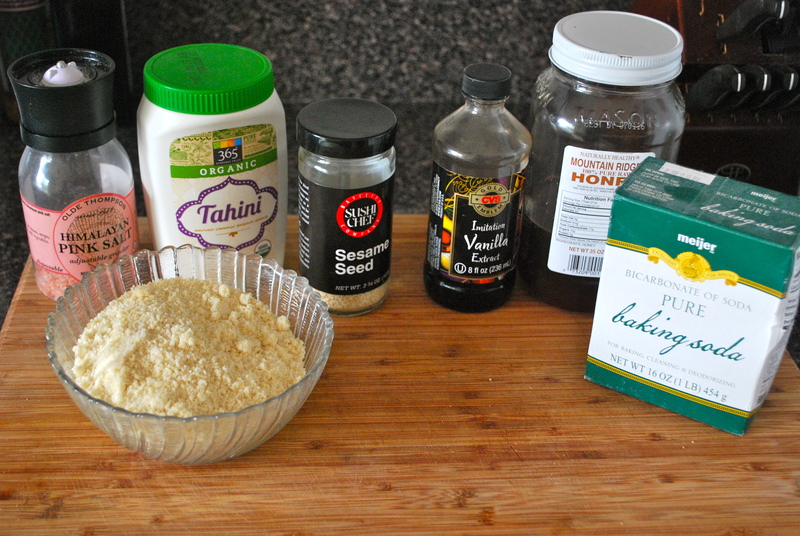 Next combine the honey, vanilla, tahini, and agave. Slowly stir in the dry mix until everything is mixed up. 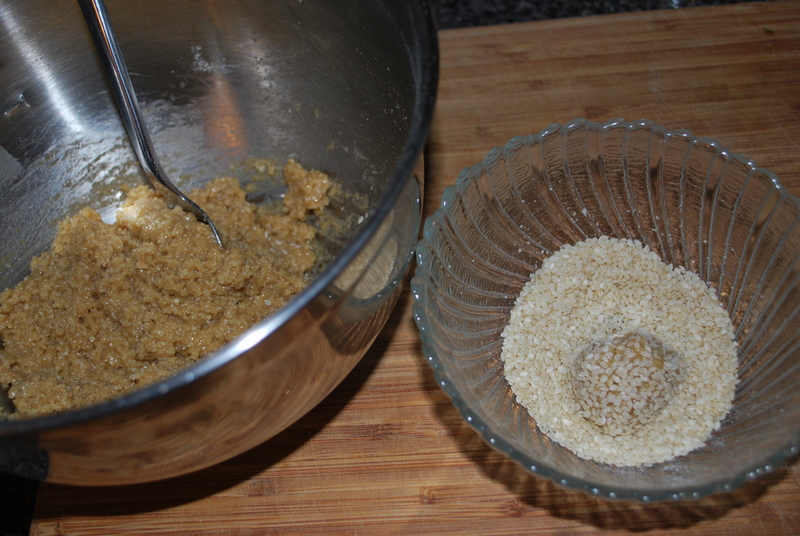 Roll into quarter sized balls and roll into the sesame seeds, coating the balls. 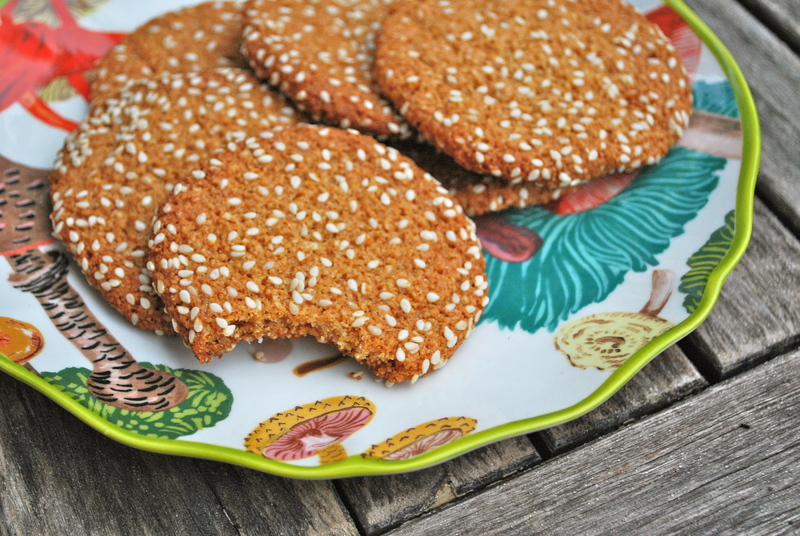 Press them down on your lightly greased cookie sheet so they are about 1/4″ thick. Preheat the oven to 350 degrees Fahrenheit and bake for 10 minutes or until the bottoms are brown.